(a) Place the drive end frame on the clutch pulley. 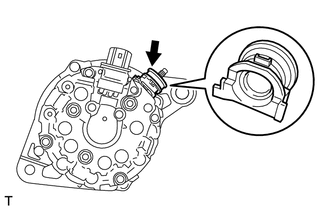 (b) Install the generator rotor assembly to the drive end frame. 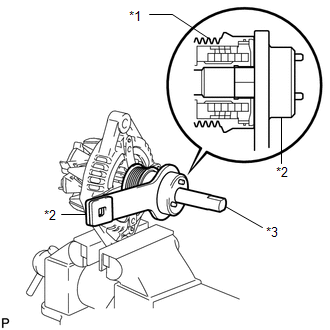 (a) Temporarily install the clutch pulley onto the rotor shaft. 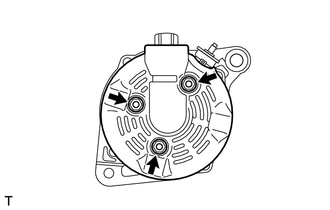 (f) Tighten the pulley by turning SST (B) in the direction shown in the illustration. 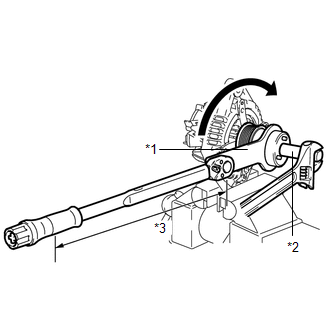 The "with SST" torque value is effective when using a torque wrench with a fulcrum length of 400 mm (1.312 ft.). 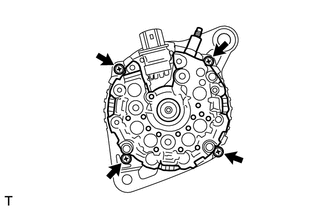 (h) Check that the clutch pulley rotates smoothly. 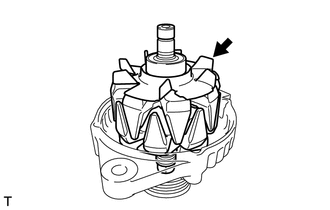 (i) Install a new clutch pulley cap to the clutch pulley. 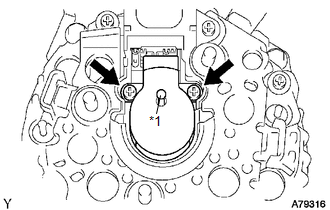 (a) Place a new generator washer on the generator rotor. (b) Using a deep socket wrench (21 mm) and a press, slowly press in the generator coil assembly. (c) Install the 4 bolts. 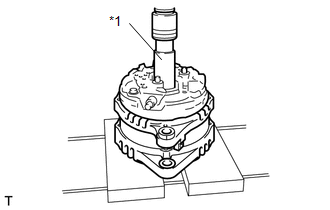 (a) While pushing the 2 brushes into the generator brush holder assembly, insert a 1.0 mm (0.0394 in.) pin into the brush holder hole. 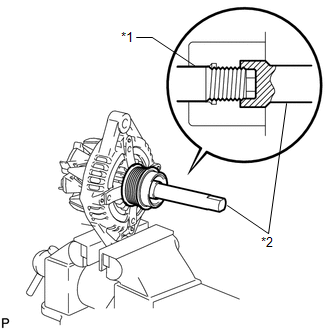 (b) Install the brush holder assembly to the generator coil with the 2 screws. 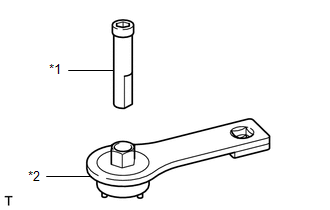 (c) Pull out the pin from the generator brush holder. 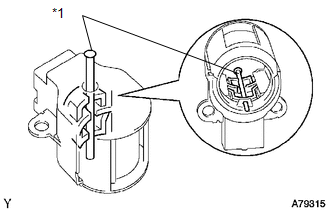 (a) Install the terminal insulator to the generator coil. Be sure to install the terminal insulator in the correct direction. 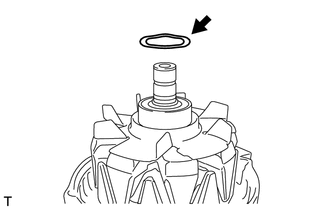 (a) Install the generator rear end cover to the generator coil with the 3 nuts.